Advertising; its a big part of any marketing strategy, but I'm not sure many business owners, particularly in the health club industry or the fitness industry in general, understand it. 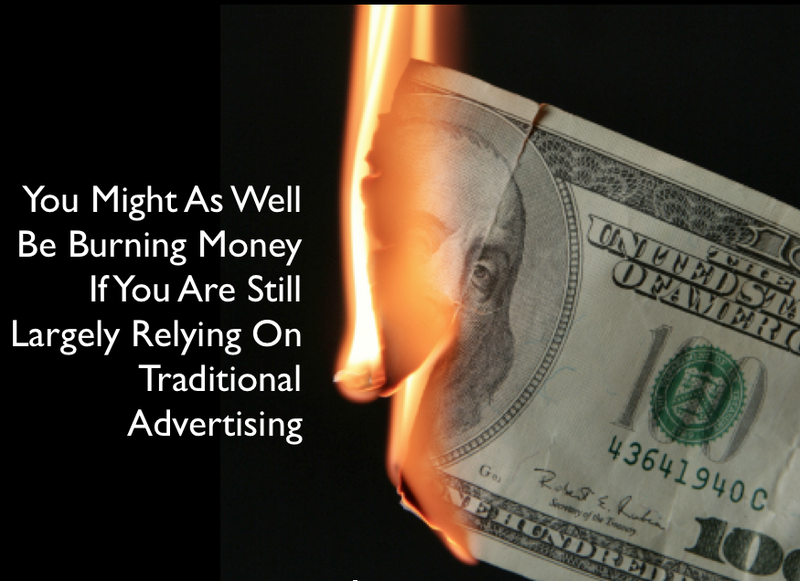 A lot of marketing practices remain stuck in the past and as a result advertising resources wasted [burned hence the photo]. Therefore I'd suggest people take time to carefully reevaluate their strategy and advertising campaigns. Leaders must shift their advertising investment from traditional means to the new world. Buyers are sharing. They are sharing when they like a brand.They are sharing when they don't like a brand. This has accelerated the empowerment of the consumer and has dramatically changed the way brands must advertise. People are reacting immediately. For example, you take global retailer GAP, which took two weeks after a huge investment to have the brand go back to the old logo. By comparison, if you go back to the '80s, it took 18 months for Coca-Cola to come back with Classic Coke. That's the difference. Check out the Zero Moment Of Truth Video below and please tell me, Bryan O'Rourke, what do you think about advertising and marketing strategies in light of the change technology has provided buyers ? What is your digital presence and platform ? What are you planning to do about it ?